Accessory item includes one adapter set for the front and rear coupling system with 1:32 SIKU Farmer tractors and one front weight produced in metal. 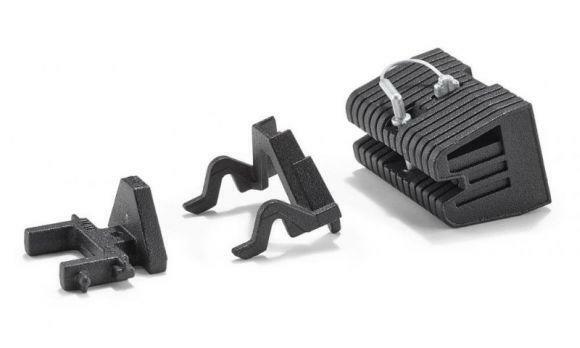 The adapter set reverses the function of the standard front and rear coupling system for 1:32 SIKU Farmer tractors. Front loading devices or the front weight can therefore be attached to the rear coupling system.